Kalkandu is nothing but the crystallised form of sugar or Rock Candy. 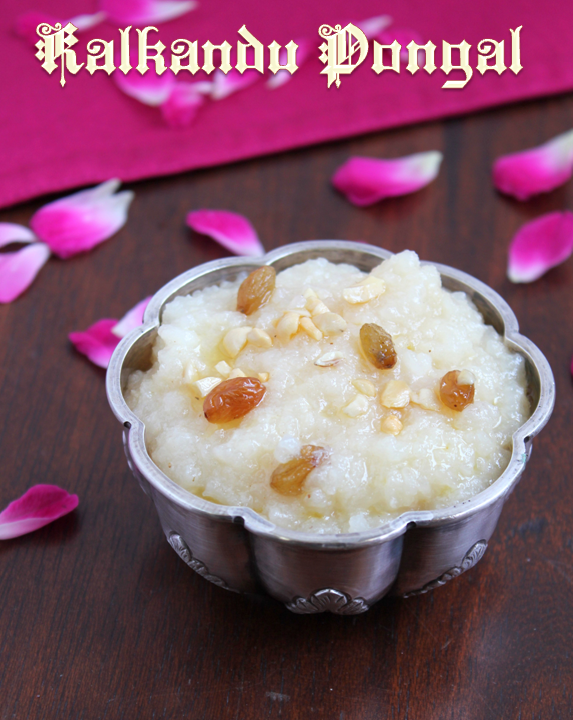 Kalkandu Pongal is a simple sweet made with Rice, Milk and Kalkandu. I have tasted this often in weddings, but we have not made this (often) at home or even during any festival. Wash the rice well and roast it in a tsp of ghee in a thick bottomed pan. Add milk and cook the rice until very soft in a low flame. Add the Kalkandu and heat further in low flame until it becomes thick. Add cardamom powder and edible camphor. 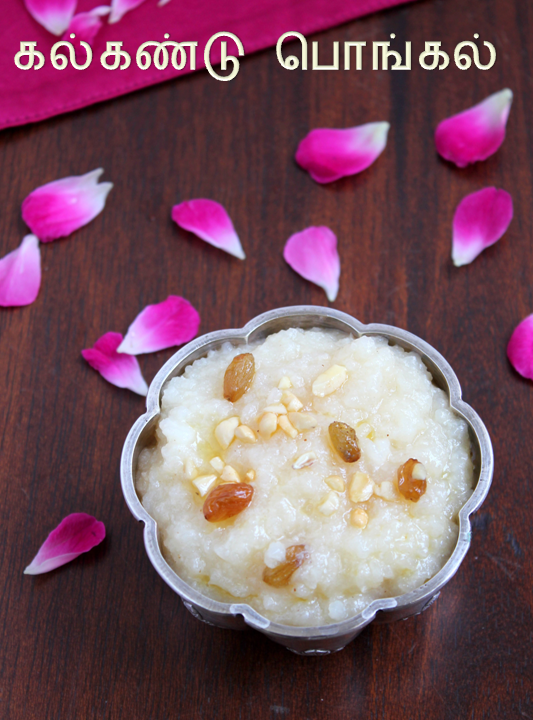 Fry the broken cashews and raisins in ghee and pour over the pongal. You can cook the rice in the pressure cooker. Roast the rice in ghee pour milk and transfer to a tall vessel and pressure cook for 20 minutes in a low flame. You can powder the kalkandu to speed up the process. Increase or decrease the amount of kalkandu and ghee according to your taste.